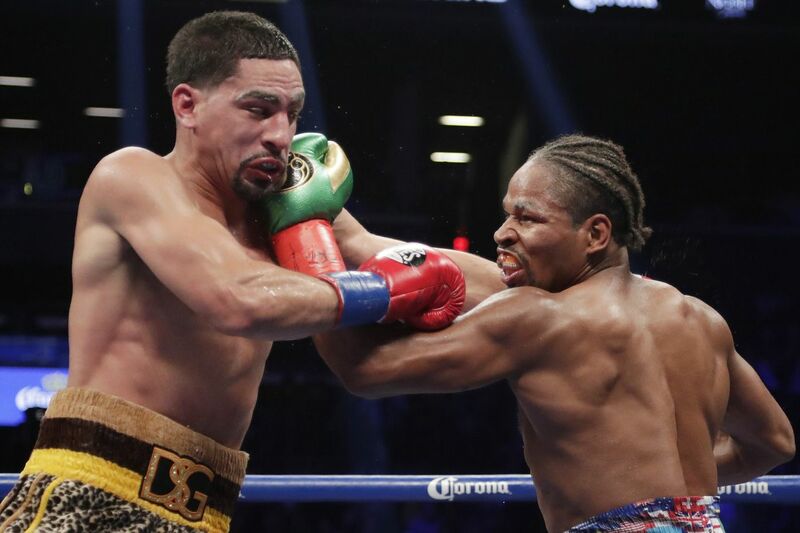 NEW YORK – This wasn't a crossroads fight for Danny "Swift" Garcia. The former world champion in two weight classes passed that point a long time ago. The fighter from Juniata established himself when he knocked out Erik Morales to win his first world title, the WBC light-welterweight crown, in 2012. He rose to headliner status by systematically taking apart "prime time" opponents such as Amir Kahn, Zab Judah, Lucas Matthysse, Lamont Peterson, and Paulie Malignaggi. Still, Garcia had turned 30 in March, and he entered his fight against Shawn Porter for the vacant WBC welterweight title on Saturday night at the Barclays Center without a championship belt. It was the same title belt he lost in a split decision to Keith Thurman at the Barclays in 2017. Regaining that belt would have put Garcia in a position to have a huge say in what happens next in the most attractive, competitive, and potentially lucrative division in boxing. Now, however, after being on the wrong side of a unanimous decision, Garcia is left with the ominous task of figuring out what's next. He won his first 33 fights and captured world titles in two weight classes, but now he has lost two of his last three bouts. After starting 9-0 in championship fights, he has lost his last two. Instead of being a champion again, Garcia is one of several name fighters looking to climb back up ranks. "I don't know how to feel right now," Garcia said early Sunday morning. "I know I'm a true champion, but I've got to sit back and see what's next for me, to be honest with you." While Porter and undefeated IBF welterweight champion Errol Spence Jr. were lobbying anyone who would listen for a big-money fight against each other, Garcia (34-2) was contemplating what the 116-112, 115-113, and 115-113 scoring that went against him meant. Garcia can make a credible argument, but Porter simply fought as if he wanted it more. Porter was more active – throwing nearly 300 more punches than Garcia. And while Garcia had a slightly better percentage of power shots, the first-impression thought was that he simply didn't look as if he had done enough to win a decision. There were no knockdowns and Garcia never looked as if he had asserted his will over Porter. "It was a tough fight," Garcia said. "It was a close fight and I thought it went my way. But the judges didn't see it my way, so I guess it wasn't enough." The magnitude of this fight in the welterweight division is enormous. Had Garcia won, he'd be the one talking about a champion-vs.-champion matchup with Spence or a rematch with Thurman. Either would have been a mega-million-dollar headliner. The loss drops Garcia back into a crowded pack. There will be quality fights out there against welterweights such as Kahn, Jeff Horn, Jesse Vargas, Kudratillo Abdukakhorov, or even the ancient Manny Pacquiao, but those would all signify that Garcia is back in the place he fought so hard to get out of. What is not at question is whether Garcia is going to take the challenge to climb back up to another title shot. He has secured his legacy as a two-division champion. He has earned enough to provide a comfortable living for his family. He has done that while keeping his health in a sport that ages athletes more quickly than normal. Garcia could find as many good reasons to not fight again as to step back into the ring. "I definitely will absolutely get back at it," he said. "I'm a fighter. That's what I do. "I just got to see to get back on track, go back to the drawing board, and see how we go about improving and eventually closing out a great career."